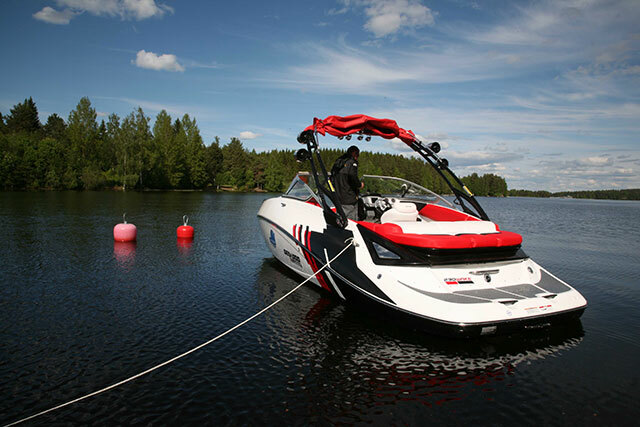 In the world of serious wakeboard boats, Nautique, MasterCraft and Malibu lead the way with craft of great technical proficiency and huge aesthetic appeal. 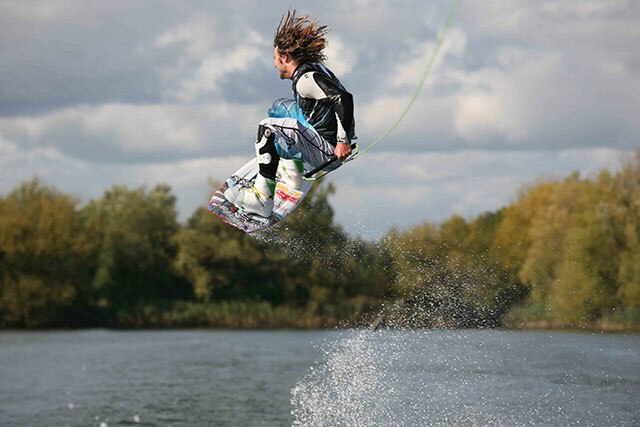 But while their unchecked struggle for supremacy has generated some fabulous boats, it has also created a culture in which the intrinsically simple sport of wakeboarding is on the cusp of becoming entirely unaffordable. Axis is therefore a very welcome new brand. 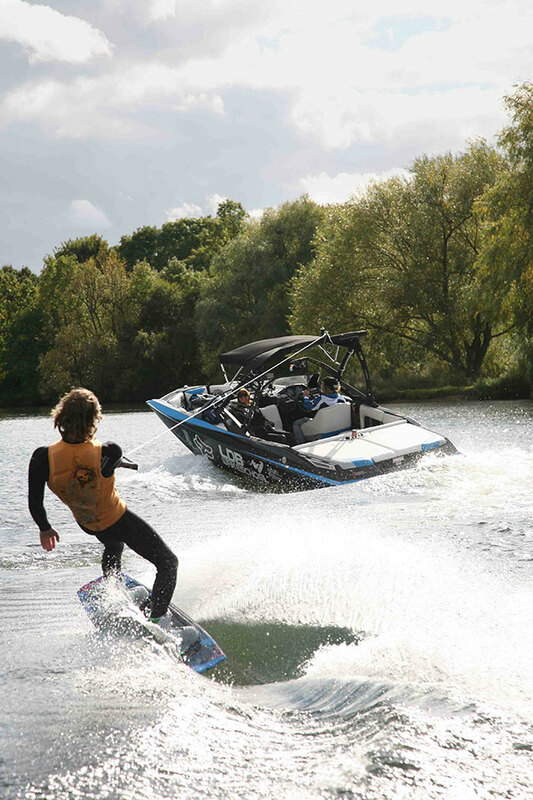 Owned, designed and built by Malibu, Axis is designed to undercut all the top-end labels (including Malibu’s own fleet) by a very substantial margin, bringing genuine, high calibre watersports back within reach of the keen recreational enthusiast. But just how successful is the A20 in that pursuit? 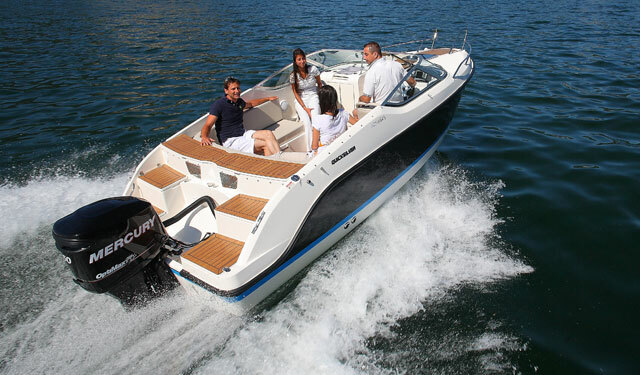 The Axis makes a good start by combining a Malibu VTX-derived underwater profile with the broad, almost taper-free picklefork bow used to such good effect on MasterCraft boats and now seen on a great many general-purpose leisure craft from the likes of Regal, Cobalt and Four Winns. Here, the picklefork adds some useful extra seating in the bow, bringing the rated capacity of this 20-foot boat to no fewer than 11 people. 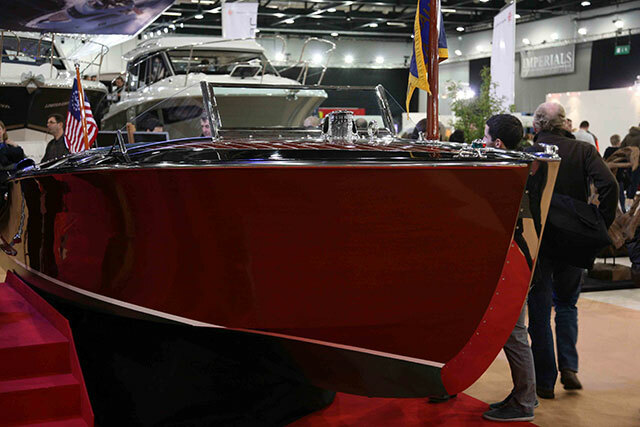 In terms of the dynamics, however, the radically undercut forefoot keeps the vast bulk of the boat’s weight much further aft, where another attractive wake boat trait makes itself evident. Here, you find a wide-open cockpit, entirely lined with wraparound seating and terminated at the aft end with a huge sunbathing platform that doubles as a preparation space for boarders. 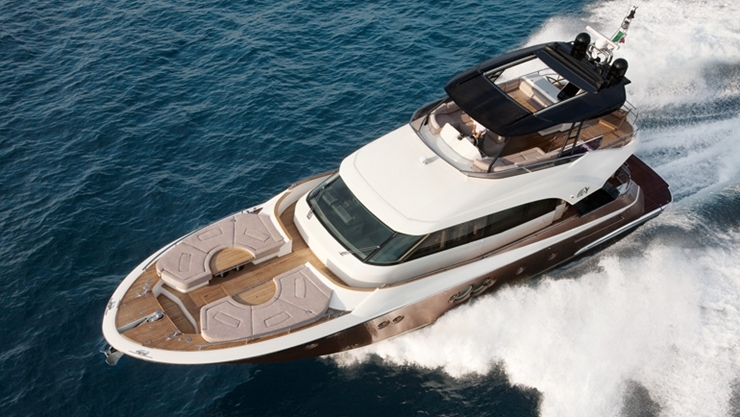 In addition to a broad 2.5-metre beam, you get low, easy-access freeboards, a big forward sun lounger and some stylish trim touches, with a powder-black wakeboard tower and a slick, tinted screen with cutaway sides, enabling great visibility from the helm, plus easier docking for a singlehanded driver. This is all good news but what about that all-important wake? A wake is generated by displacing water, so if you want a bigger wake, you need to sink the boat a little deeper - and that is done here in two simple ways. The primary method comes in the form of three hard ballast tanks (one forward and two aft) that can be filled and emptied from the comfort of the helm seat. With the capacity to add 900 pounds of weight to the mix, their impact is considerable. And then there is the optional Wedge - essentially a metal wing that can be lowered at the aft end of the hull, creating a dynamic (and controllable) downward force. It can add the equivalent of up to 1,000 pounds of load, so with both the Wedge and the ballast tanks at your disposal, you can produce anything from a small, clean wake to help the novice build his confidence, right up to the monstrous ramp of water that the pro needs for the uncompromising execution of tournament tricks. In short then, the A20 might be marketed as a ‘multi-discipline’ watersports boat for ‘wakeboarding, wakesurfing and skiing’ but the facts suggest otherwise. Not only is the A20 built by a wake boat specialist, but instead of the mid-engined direct drive of a dedicated ski craft, it enjoys the same (stern-heavy) V-Drive system you would see on a tournament wake boat. 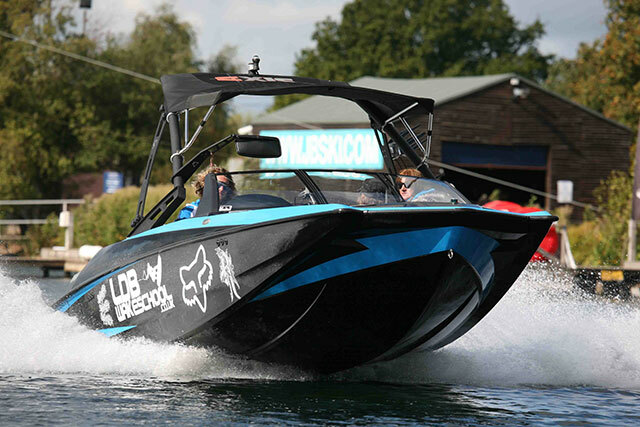 If you were to empty the ballast tanks and lift the wedge, you could certainly use this boat for a spot of recreational skiing but the fact of the matter is that the talents of the A20 lie firmly in the world of epic wake generation. Looking for something extra? There are plenty of ways you can pimp your ride. To that end, you get the 900-pound three-box ballast system, a single-axle trailer, cruise control, a wakeboard tower and a swivel seat. Most of the desirable (but non-vital) features are forced to take refuge on the enormous options list. 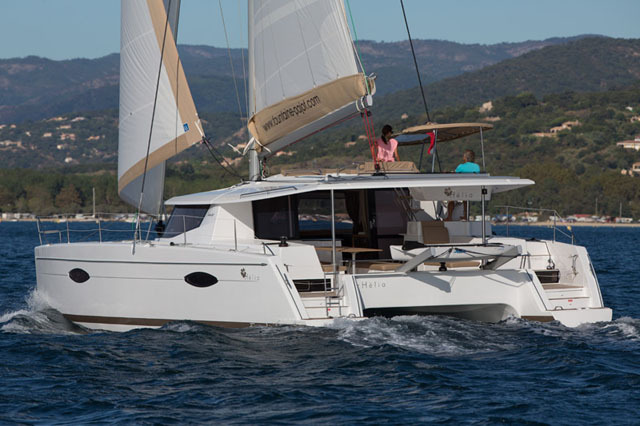 These include the adjustable Wedge, bolster seats, a drop-in cooler, pull-up cleats, a transom remote and a bimini cover. 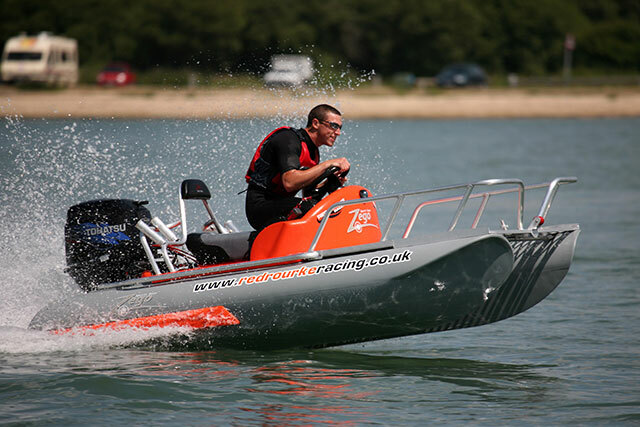 A ski pylon and a depth finder might also prove useful and if you want to add some stylistic bravado, sub-surface transom lighting and a ‘Tricked Out Trailer Package’ can also be specified. As regards the business end of things, you can upgrade the standard engine with an additional 120hp, increase the ballast capacity by 350 pounds or fit a super-grippy five-bladed prop. There is also a high-spec ‘Vandall Package’, plus a saltwater option for those keen to go coastal - and you can even spec an LPG conversion, which (for around £2,000) will cut your fuel bills in half. So if you want more than the base model offers, then pick up an Axis brochure and prepare yourself for some retail therapy. Otherwise, the simple addition of the Wedge, the bimini, the stereo, the seat bolsters and the ski pole will generate a package that is every bit as capable as it is affordable. There are lots of recreational boaters who insist that a day’s wakeboarding can be enjoyed behind any kind of boat. But if you are talented, keen or ambitious, a boat that generates a set of indistinct and unreliable splashes is not enough. You need an altogether more intelligent craft - not one for which the wake is merely a side-effect of power-driven transit but one capable of conditioning both the scale and the nature of its wake in accordance with the confidence, ability and aspirations of the person on the end of the line. That’s precisely where an authentic wake boat like the new Axis A20 comes into play. Stylish, affordable and effective, with the bedrock of a confidence-inspiring Malibu heritage, the A20 makes a mockery of the myth that a proper wake boat costs a fortune - and that anything cheaper is a compromise. 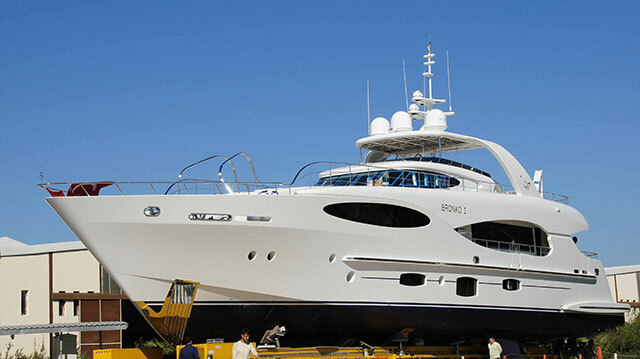 Certainly, if you want a good, general-purpose leisure boat, then look elsewhere. 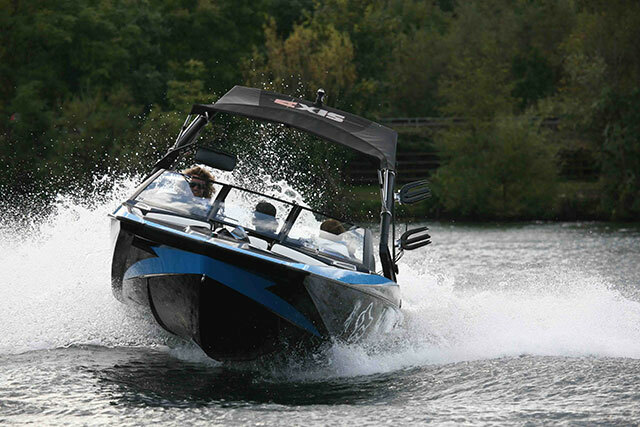 But if you want a wake boat that will cater for you and your family from your most tentative baby steps to the glittering podium appearance in your mind’s eye, the A20 offers everything you need.